The Tri-Valley is a triangular-shaped region just 35 miles east of San Francisco. From the top of Mount Diablo, you can see the three valleys that give us our name, which holds four cities: Pleasanton, Livermore, Dublin and the town of Danville. Known for its Mediterranean climate, historic wine region and storied downtown areas, the Tri-Valley is the perfect weekend getaway – located just 30 miles east of San Francisco with free parking and sunshine you can count on! Deep in a valley framed by oak-covered hills, with sailboats and sailboards skimming over its waters, Del Valle Regional Park feels like a lakeside resort only 10 miles south of Livermore. Casual walkers can hike short 3 mile loops with a bit of elevation, and avid climbers can hike this challenging course. Del Valle offers a lot of activities for everyone — kayaking, boating, camping, horseback riding, fishing, swimming, picnics, archery to naturalist-led classes. Did we mention there are dog-friendly trails too? What’s better than an exceptional bottle of wine? One that you made yourself, of course! 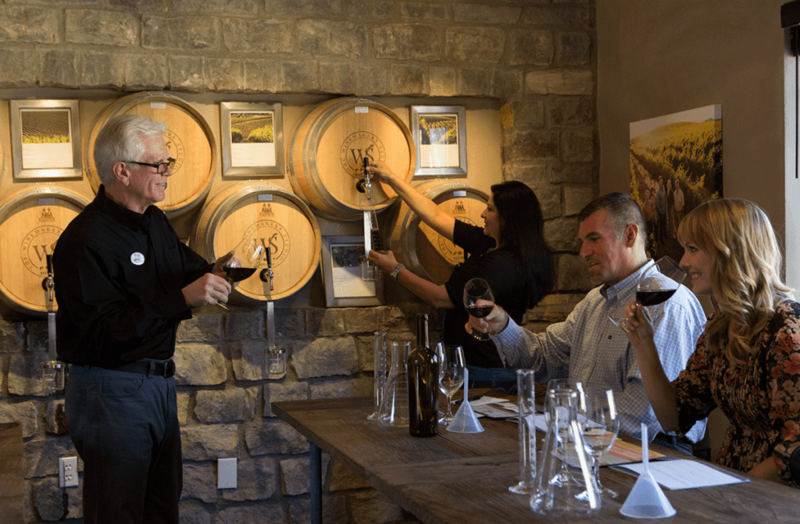 The Winemakers Studio at Wente Vineyards is a place to engage in hands-on winemaking and grape-growing activities. Maintaining family tradition is essential to Wente, but just as constant innovation and a drive to raise the bar higher. Join one of the Blending Sessions to taste, evaluate, and blend estate blocks of wine to create your very own bottle of wine. Nestled off the beaten path in Livermore Valley, Murrieta’s Well is one of California’s original wine estates. Upon arrival, you’ll feel most welcome thanks to the staff’s deep passion for great-tasting wine and gracious hospitality. Savor the tasting experience from the patio, or walk towards the stunning Barrel Room. Head upstairs to The Tasting Bar for sweeping views of the estate, and get a taste of their limited production estate wines. Had enough wine? Never! But if you insist, check out Luna Tea Co. at Blacksmith Square in Downtown Livermore. It’s tea time! No whirring espresso machines here… just a mindful tea experience in a relaxing setting. You can kick it up a notch with tea-based cocktails such as Louisiana Voodoo with sweet tooth tea, fermented cinnamon whiskey, and bitters or the Red Rose with black rose tea, fermented vodka, bitters, and luxardo cherry. End the evening at the Bankhead Theater in Downtown Livermore. Excellent acoustics, intimate experience and not a bad seat in the house! This venue is a Bay Area-local favorite where they catch performances ranging from opera, comedy, dance, acrobatics, touring shows to every music genre. Upcoming 2017 shows include Cherry Poppin’ Daddies, The Wonder of Elvis: Tribute, Arlo Guthrie, Paul Taylor Dance Company, Paula Poundstone, Keiko Matsui and The Wizard of Oz. Rock City to the Summit of Mount Diablo is a 7.8 mile moderately trafficked out and back trail located near Danville, California that features beautiful wild flowers and is rated as moderate. Discover the mountain’s beautiful wildflowers, its extensive trails, fascinating wildlife and distinctive rock formations. View the stars from its lofty heights, bike ride to its 3,849 foot summit or explore the more remote trails by horseback. The park offers hiking, biking, horseback riding and camping. And it’s dog-friendly! Blackhawk Museum has the most interesting collection of classic, rare, and unique automobiles dating back to the 1890s. 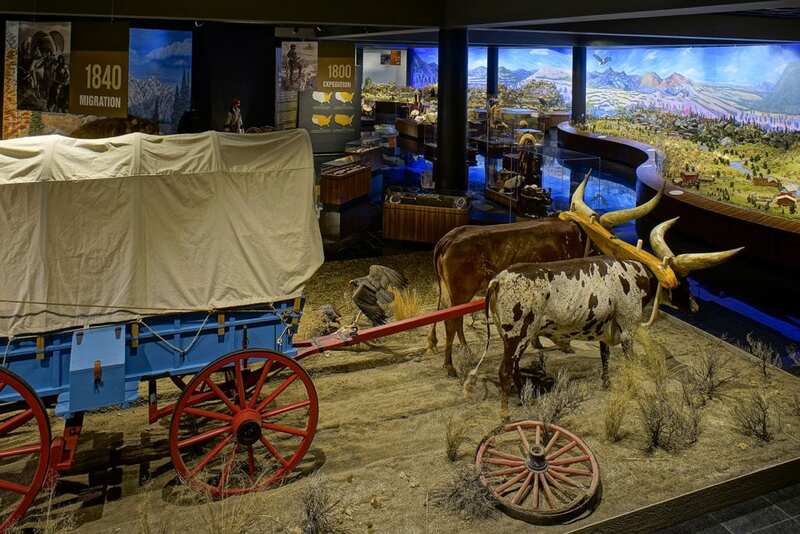 You can also experience the rich history of the western frontier with The Spirit of the Old West, a permanent exhibit that showcases the American westward expansion from the early 1700s through the early 1900s. Need a break? Head to Crafts Creamery, an local spot that uses liquid nitrogen to freeze and churn their ice cream. Try awesome flavors like cake batter, black sesame and cinnamon toast crunch. 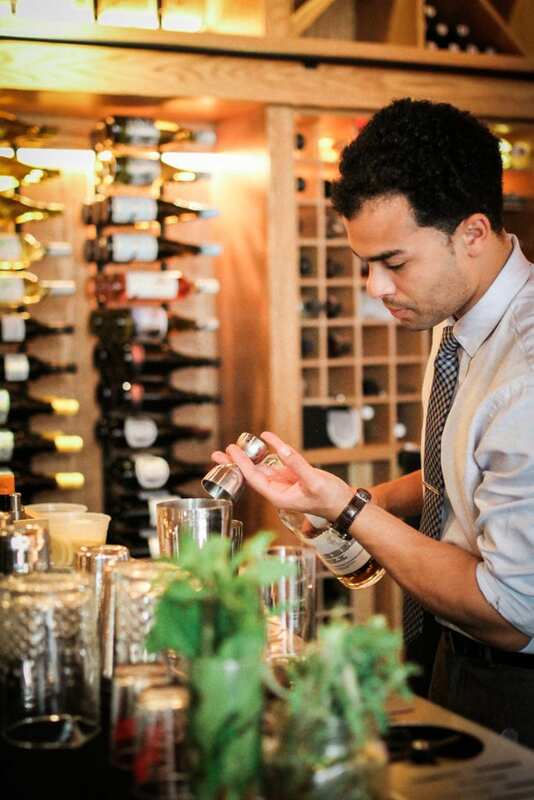 Known for harmonious chemistry among their wine, food and customers, Pairing Cellars is the perfect place for a drink, for yummy bites, and to relax in with friends. Pairing Cellars brings in many different wines from the old world, family-owned boutique wineries, as well as their own labels. Want to leave the world behind? Head to Sabio on Main, which offers farm-to-table global tapas. Its seasonal menu is perfectly balanced by its modern industrial setting. Try the Santa Barbara Uni Deviled Egg to start, Chorizo Sourdough Toast and the Chocolate and Espresso Panna Cotta with candied hazelnuts for dessert. Hungry yet? Me too. Yup, we snuck in an 11th spot… but you’ll love this. The Tri-Valley has seen an explosion of Asian cuisine the past decade. Ulferts Center, where ancient tradition meets modern Hong Kong cuisine, houses some of the most exciting Asian eateries. 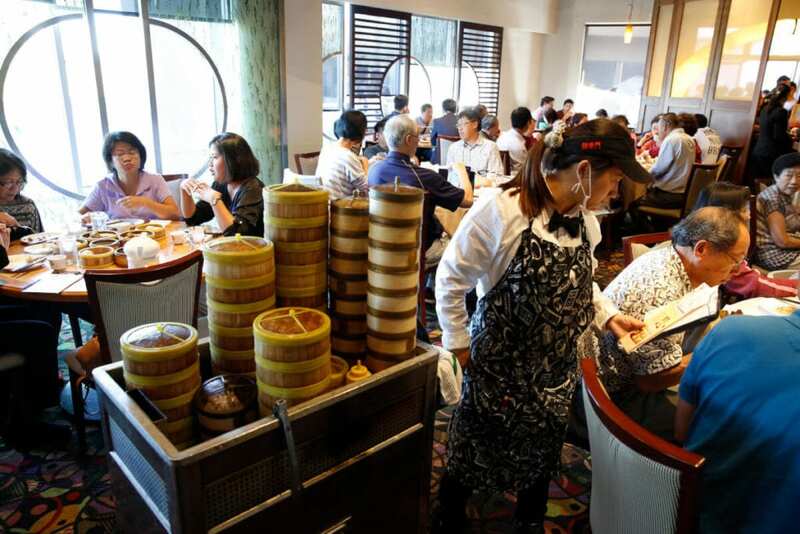 There’s Koi Palace for dim sum and seafood, an off-shoot from its Daly City origins. Owners Ronnie and Willie Ng both go to China and Hong Kong at least twice a year to keep up with contemporary food trends. And of course try Hot Crab Louisiana Cajun Seafood, Kee Wah Bakery for Chinese bridal cakes and mooncakes, Pamir Restaurant for Afghan food, and Halu Shabu Shabu.